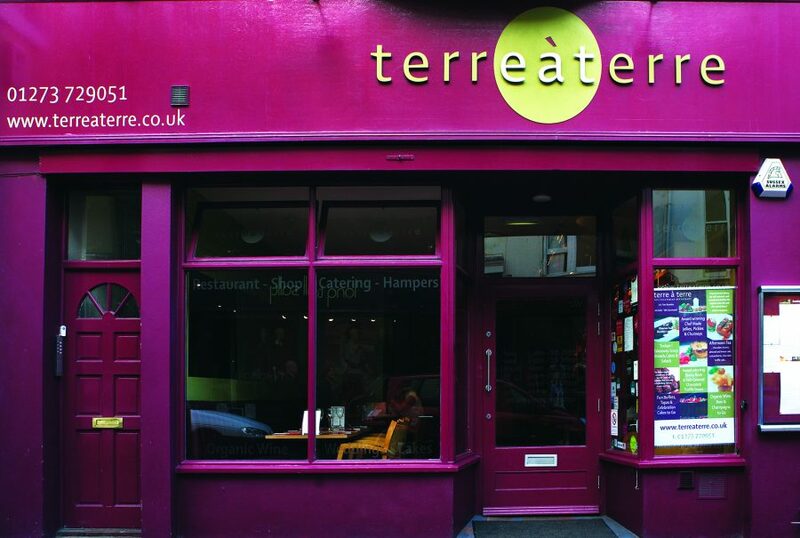 Situated in the historic Lanes region of Brighton, Terre à Terre has become one of the city’s iconic vegetarian and vegan restaurants. Since opening in 1993, it’s established an enviable reputation and is sought out by locals and tourists alike. When I visited with my wife and two children, it wasn’t long before the restaurant was packed – and this was a cold, wet February evening! 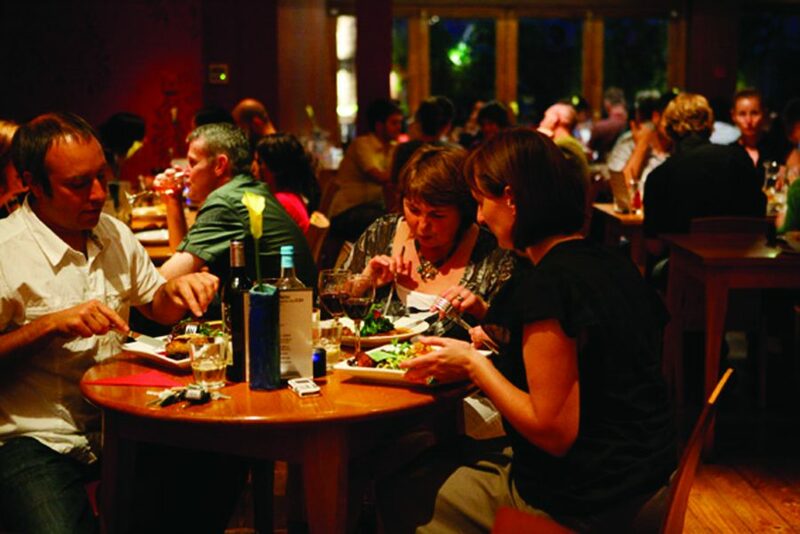 The restaurant is divided primarily into several cosy areas together with an outside terrace. The staff are efficient, serve with a smile and know their menus inside out; ensuring the waiting staff are trained to a high standard is something the owners pride themselves on. To be honest, they need to know everything about the dishes on offer because the lion’s share of customers will need assistance! Be prepared, like us, to spend plenty of time browsing the menus. 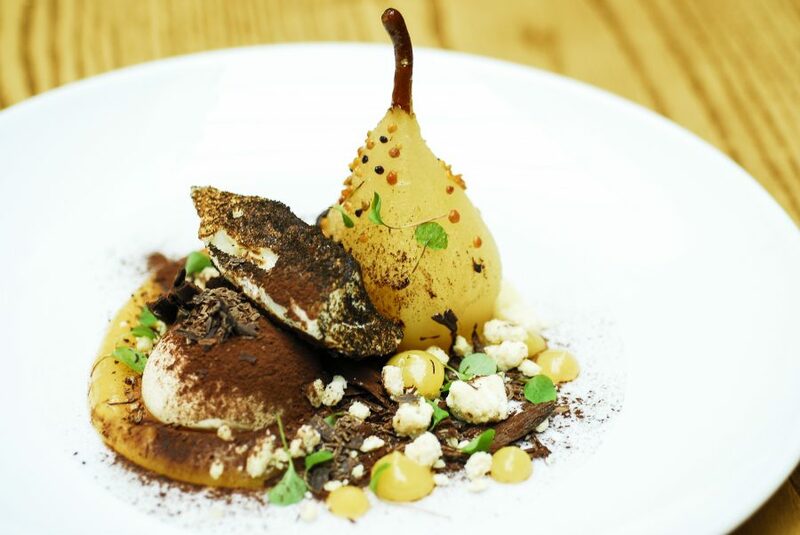 Deciding what dish you’re going to choose is a lengthy business at Terre à Terre. Unless you’re a culinary expert, you’ll probably need the waiter/waitress to decipher some of the descriptions used for certain ingredients. Okay, perhaps it’s me, but one dish contained “mooli and kohlrabi umami bomb”. I’m not sure the average diner would understand and, therefore, would need to ask the waiter. I must admit, I found the menus rather over-complicated and some of the dishes packed with too many ingredients. There is a tendency for some restaurants to feel that they’ve got to overcompensate for the absence of meat by overloading the dish with an abundance of flavours which can be confusing to the palate. 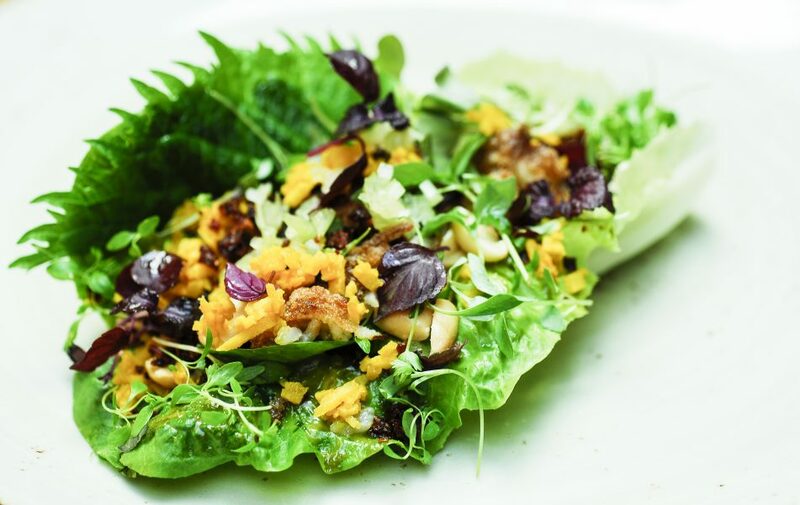 Personally, I prefer vegetarian dishes which are less complex and don’t involve so many ingredients and flavours; it would make reading the menu less time-consuming, too! We enjoyed dining at Terre à Terre although, if I’m honest, the occasion didn’t quite reach the heights of the previous evening at another of Brighton’s high-flying veggie restaurants. But that’s just personal preference and doesn’t suggest that this East Street eatery is anything but a quality restaurant enjoyed by vegetarians, vegans and meat-eaters alike. If you’re in Brighton, don’t hesitate to eat here, it’s an interesting and enjoyable experience. But for non-culinary experts like me, it’s worth slipping a dictionary into your pocket.